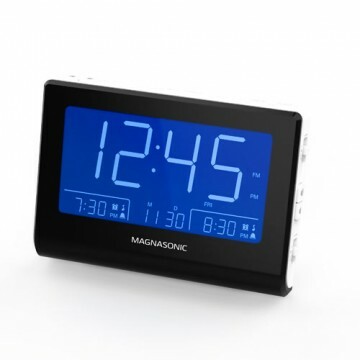 Wake up on the right side of bed with the Magnasonic USB Charging Projection Alarm Clock Radio. 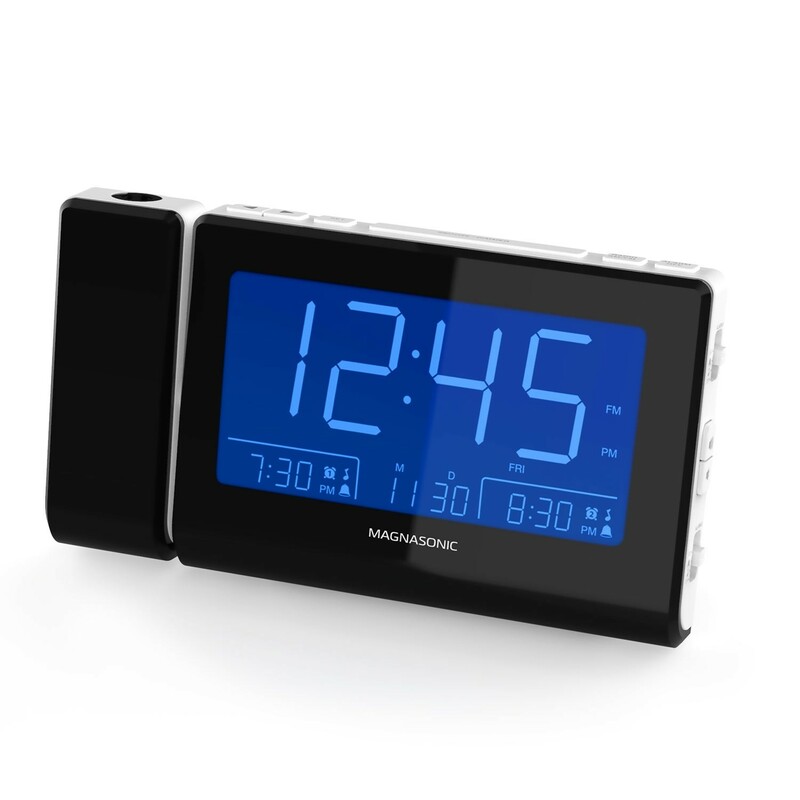 We developed the world’s easiest to use alarm clock and packed it with innovative & useful features. 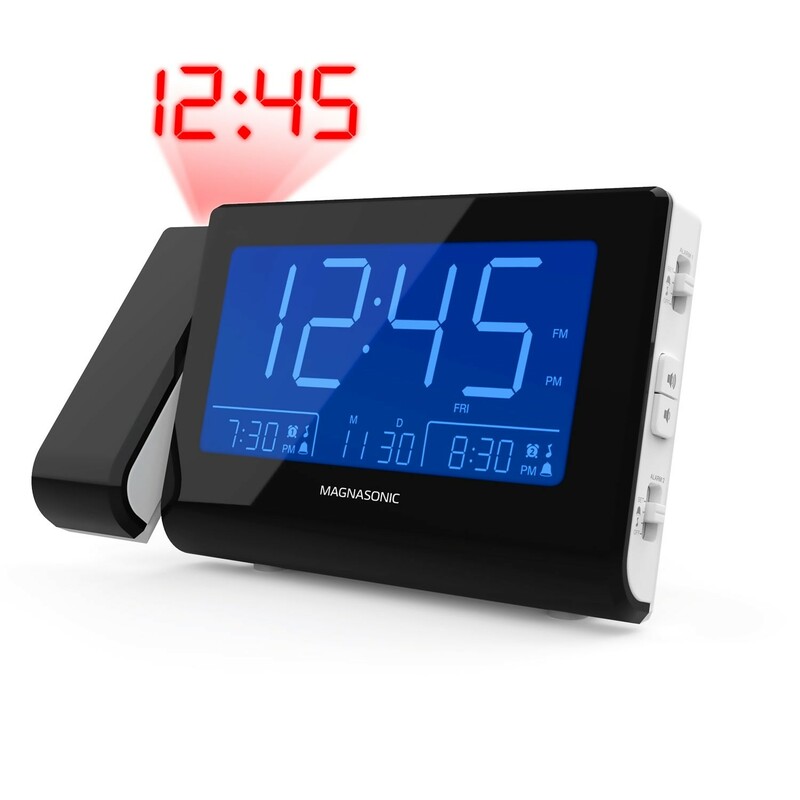 Plug it in, select your time zone and it automatically sets the time. It even adjusts itself for Daylight Savings Time. Set it once and don’t worry about it again. 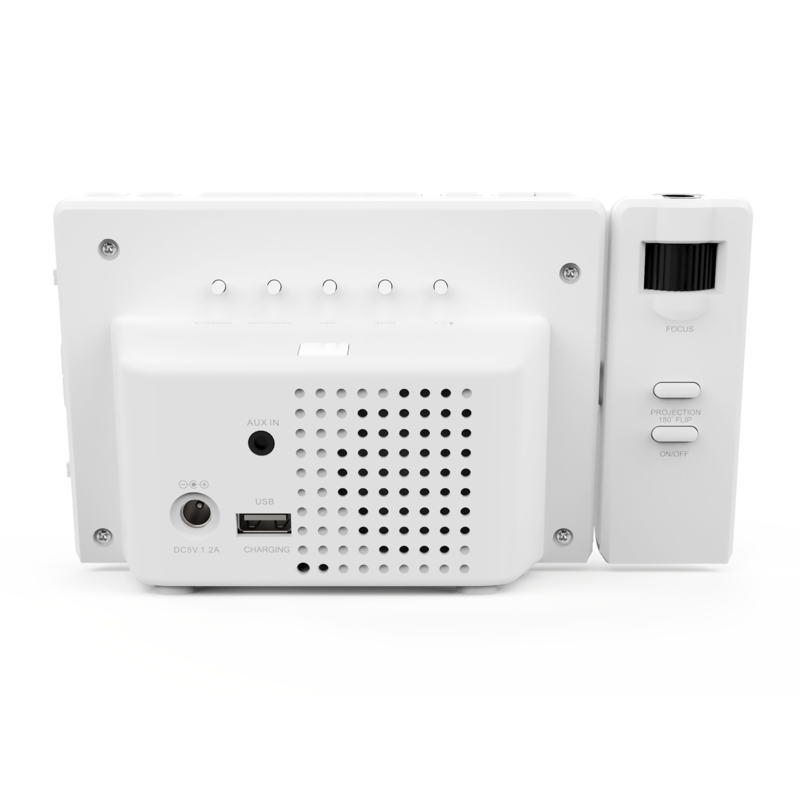 Our smartphones and tablets get a lot of facetime throughout the day leaving brave risk-takers with perilously low levels of power. 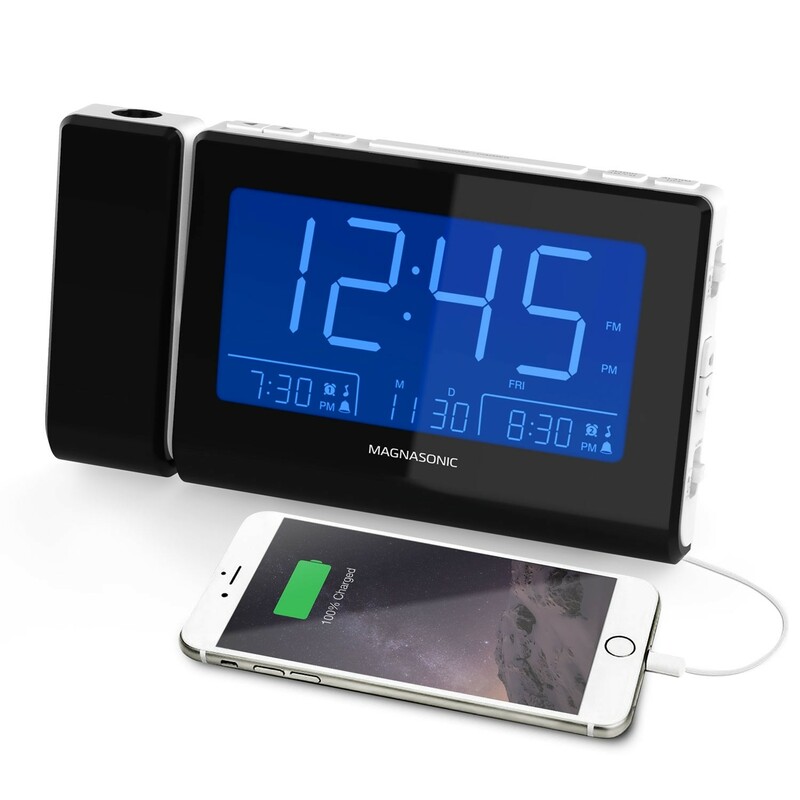 Rather than moving your furniture frantically, hoping that final 1% lasts while diving for a concealed power outlet; simply plug your phone into your easily accessible bedside clock USB charging port. Rolling over in the middle of the night to see the time when you’re half asleep isn’t pleasant. 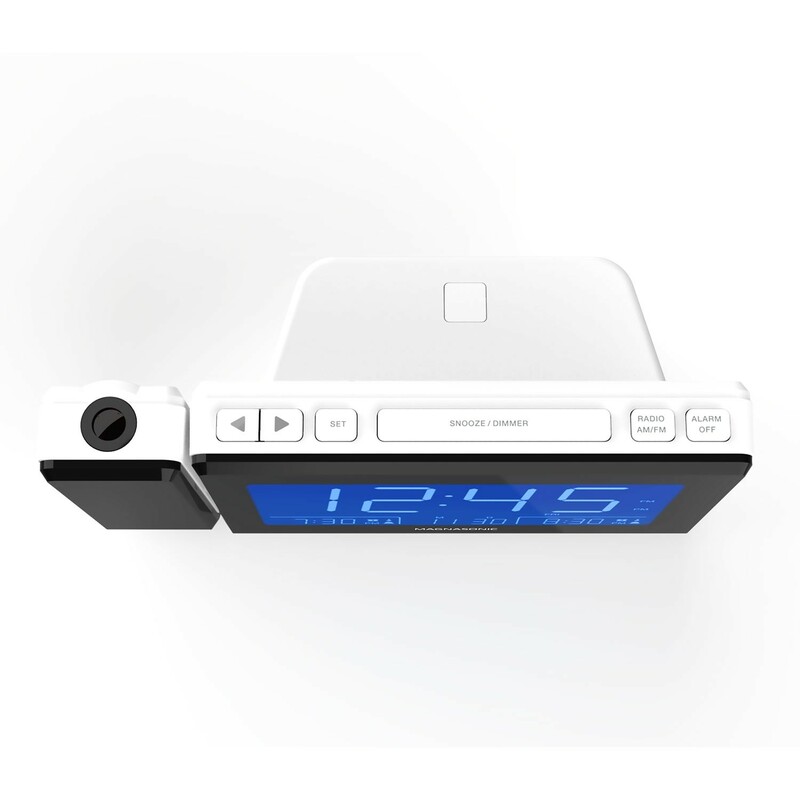 Easily spot the time on the wall or ceiling with the 180-degree swivel projection. The time will always remain in convenient view; all you have to do is open your eyes. 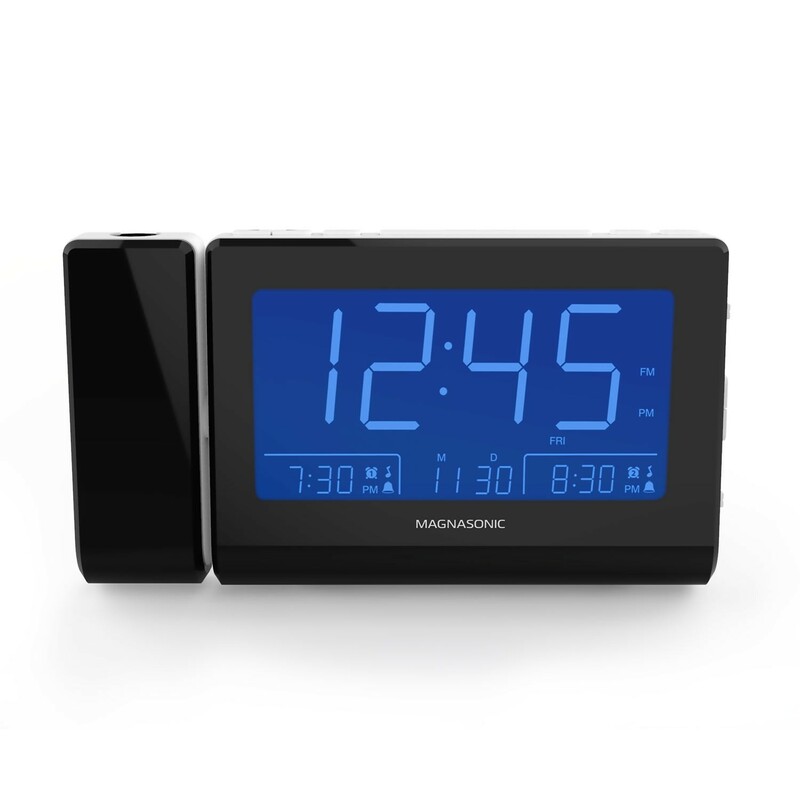 This clock radio intuitively adjusts the display’s brightness based on your room’s lighting. 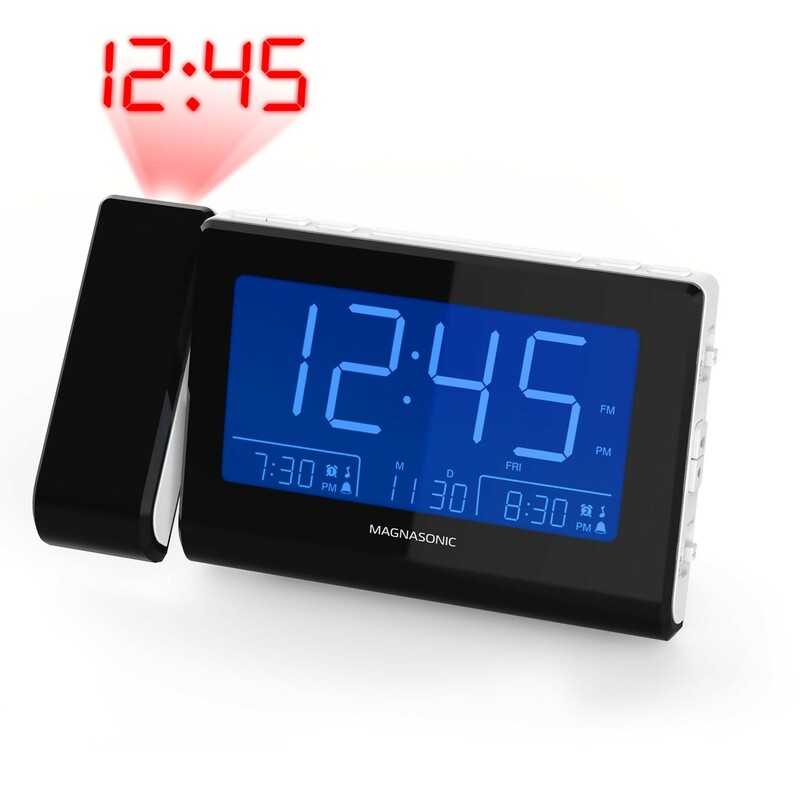 Never be blinded at night by overly bright alarm clocks again or squint in the middle of the day to read a dim display. 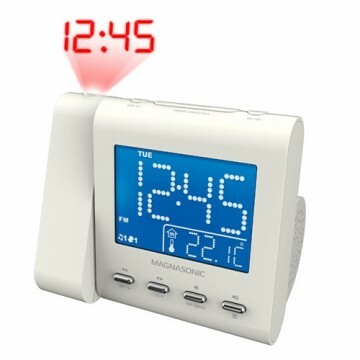 Easily read the time day or night. 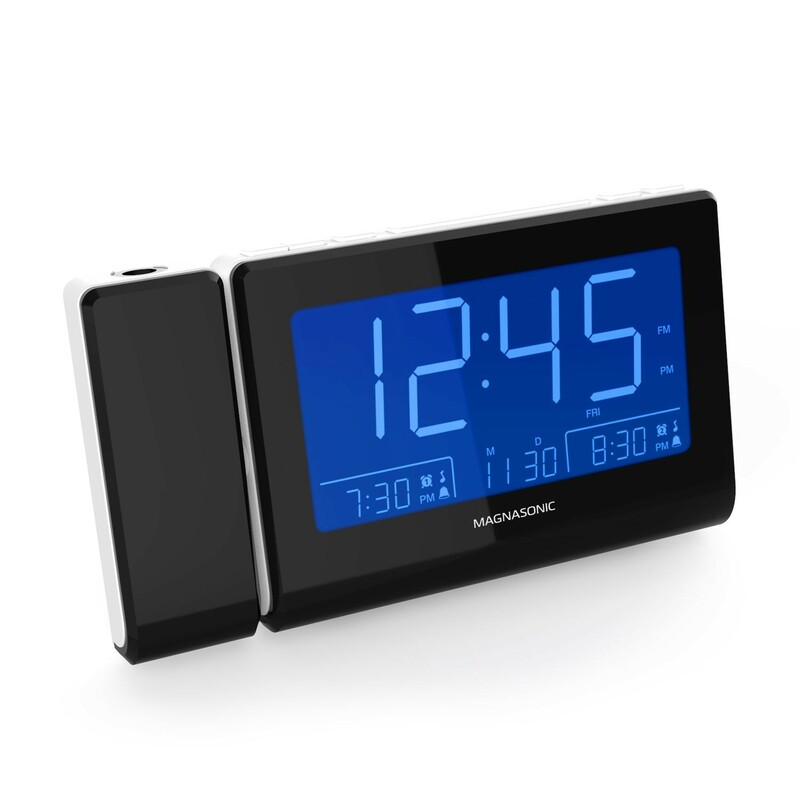 This smart clock lets you set individual alarm schedules for the week, weekdays, and weekends for you and your partner. 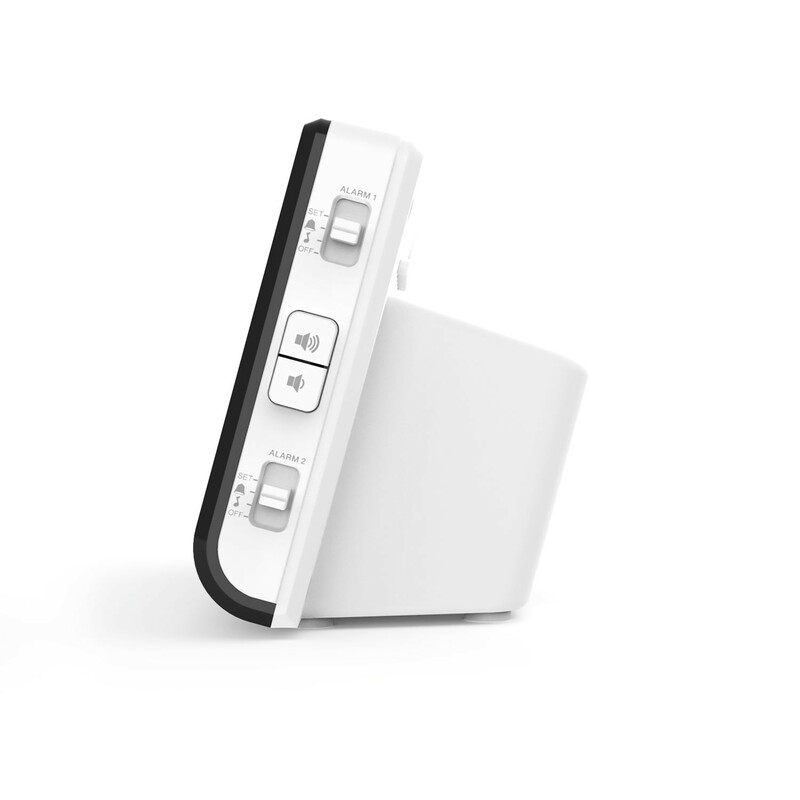 The backup battery retains and restores all of your settings if the power goes out, allowing you to go to bed knowing your alarm will go off on schedule. 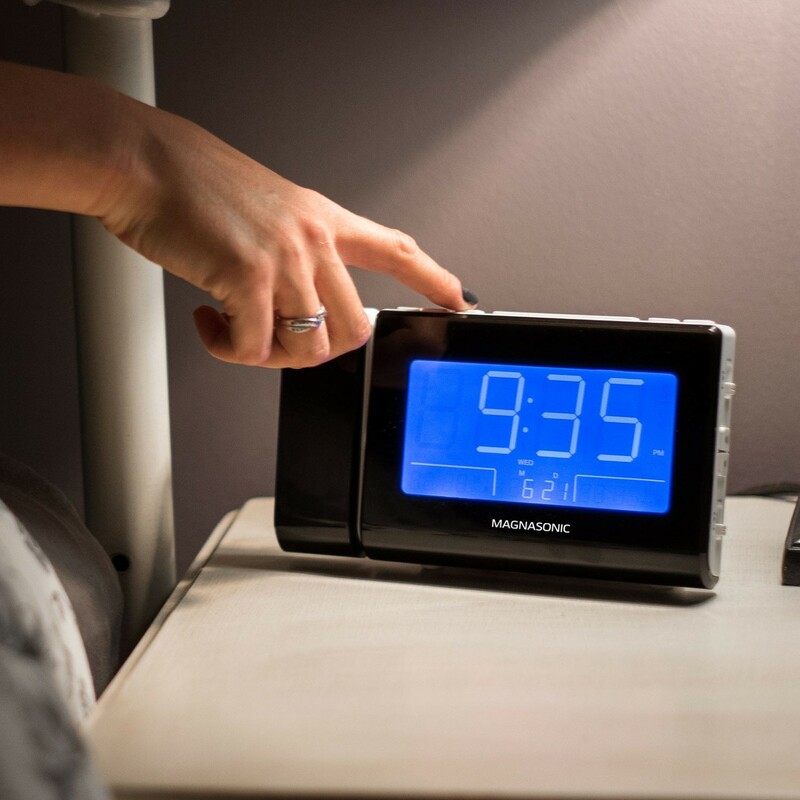 Get the quality sleep you need and deserve. 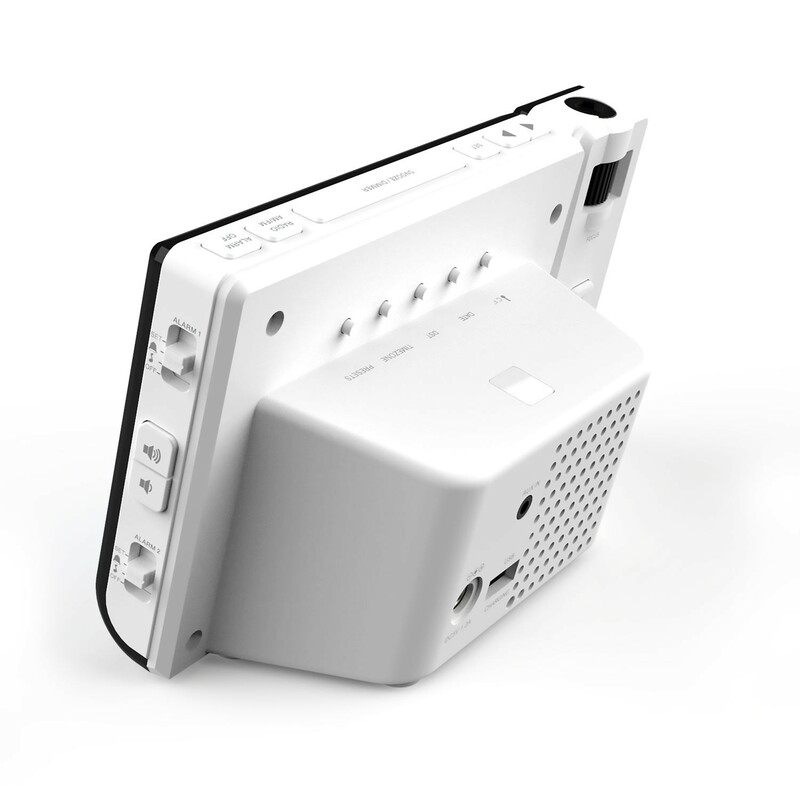 Unit was shipped with a dead battery. © 2018 Magnasonic. All Rights Reserved.